From the beautiful Blue Ridge Mountains to many historic memorials and forts, Georgia offers something for everyone. Georgia’s capital city Atlanta is a cultural and sporting center supporting three major league sports as well as art museums, a symphony orchestra, an opera company, and several theaters. 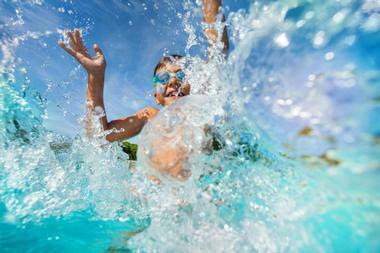 There are opportunities for outdoor fun at Georgia's water parks, and adventure for families, couples, and all who love nature in the Blue Ridge Mountains and on the islands. 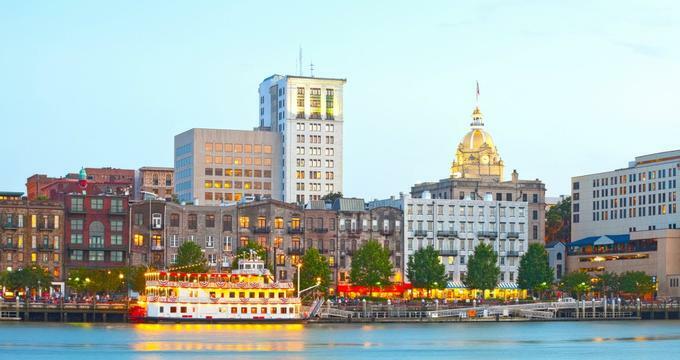 Here are the best things to do in Georgia. The Savannah Historic District corresponds with the city limits at the time just prior to the American Civil War. Laid out in 1733 by General James E. Oglethorpe, the founder of the British Colony of Georgia, the original town was divided into wards, which were sections of land that each contained a central square, four civic buildings, and ten residences. 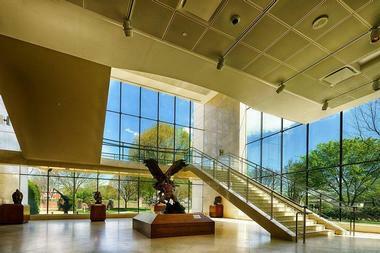 The Booth Western Art Museum is located in Cartersville, Georgia and is one of the state’s hidden gems. This excellent museum opened in 2003, and it contains the largest permanent exhibit of Western art in the United States. The museum’s pieces explore the history of expansion in the American West, life on the early frontier, and the cowboy way of life. Enormous murals, bronze statuary, photographs, and paintings from some of the country’s most significant artists make this a museum not to be missed. There is also a display of Presidential portraits and letters, a period stagecoach, and a hands-on children’s gallery based on a working ranch. Georgia Aquarium in Atlanta is the largest aquarium in the Western Hemisphere, and the second largest in the world. In ten million gallons of water, you will see unique displays of whale sharks, beluga whales, bottlenose dolphins, and manta rays, which have a thirteen-foot wingspan. Opened in 2005, the aquarium is a newcomer on the Atlanta tourist scene, but millions visit it annually. 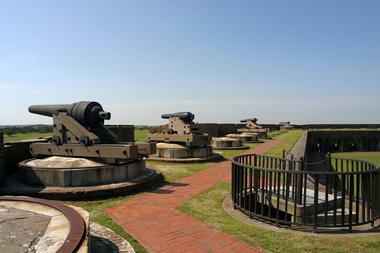 Fort Pulaski National Monument in Savannah was the site of a Union victory during the American Civil War, and it marks the first time that rifled cannons were used in combat, which effectively ended the era of impregnable stone and brick fortifications. Rifling puts helical grooves inside the weapon’s barrel, far increasing its speed, stability, and accuracy. The Pin Point Heritage Museum is located in the old building of A.S. Varn & Sons Oyster Canning Factory. It operated from 1926-1985, and most of the workforce was made up of the descendants of freed African-American slaves who settled this tidewater region of swamps and scenic marshes directly after the American Civil War. The people here lived in isolation, out of which grew the Gullah culture: a creole community and language with both African and European influences. 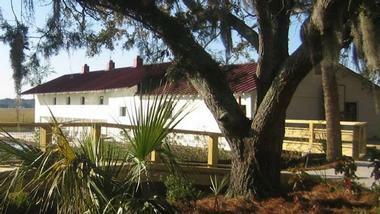 Today, Pin Point is one of the few surviving Gullah communities. Their survival was strongly linked to the sea and the role they played in fishing and in the seafood canning industry. Visitors to the museum can see how oysters were canned and how fishing nets are made, listen to oral history, and watch a half hour historical film. 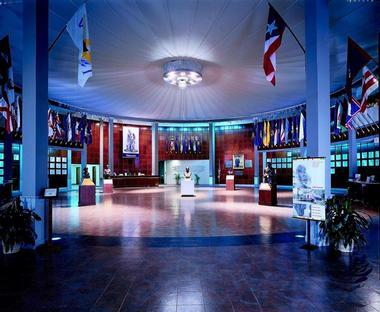 Located just outside of the infantry training center of Fort Benning, Georgia, the National Infantry Museum and Soldier Center tells the story of the American infantryman from the time of the American Revolution to today’s involvement in the Middle East. Visitors can see interactive multi-media displays and artifacts from all periods of American history, and there is also a Holocaust exhibit. The emphasis throughout the museum is on the values that define the American infantry: loyalty, duty, respect, selfless service, honor, integrity, and personal courage. Visitors can get hands-on with the combat simulator, watch military-themed movies in the 3D Theater, and kick back in the restaurant and bar. The museum has a gift shop and plenty of benches. 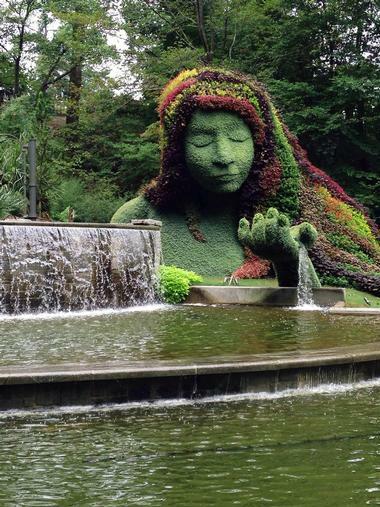 The Atlanta Botanical Gardens is a thirty-acre delight in the heart of the city, adjacent to Piedmont Park. The gardens opened in 1976 and provide a popular and peaceful way to spend time. The first part of the gardens was the Japanese Garden, which uses traditional architecture, evergreens, ponds, and Japanese maples. The Center for Civil and Human Rights opened in 2014 and is dedicated to presenting the history of the American Civil Rights Movement and the work of human rights activists worldwide, especially as they pertain to the rights of women and LGBT persons. The “Voice to the Voiceless” exhibit contains Martin Luther King, Jr.’s papers, writings, and personal items; visitors can listen to a recording of the sermon he gave which predicted his assassination. The “Rolls Down Like Water” exhibit is an interactive history of the American Civil Rights movement that includes a reproduction of a Woolworth’s lunch counter where visitors can listen through headphones to the taunts and threats leveled at activists of the time. The “Spark of Conviction” exhibit has a gallery of repressive dictators countered by examples of the work going on worldwide to fight for basic human rights. The Eighth Air Force Division is the heart of the American Armed Force’s heavy bomber squads; it originated in World War II and is still active today from its base in Louisiana. The museum preserves the stories of patriotism and courage displayed by the personnel of the Eighth Air Force in World War II, the Korean War, the Vietnam War, and Operation Desert Storm. 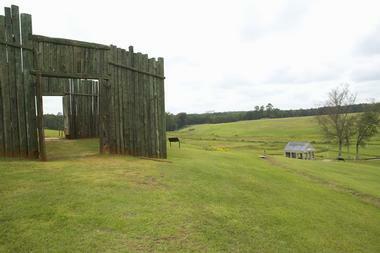 Andersonville National Historic Site and its associated Prisoner-of-War Museum is the site of what was, during the Civil War era, a large military prison. Used during the final fourteen months of the American Civil War, the prison held 45,000 prisoners, of whom nearly a third died from starvation, scurvy, dysentery, hookworm, and exposure. 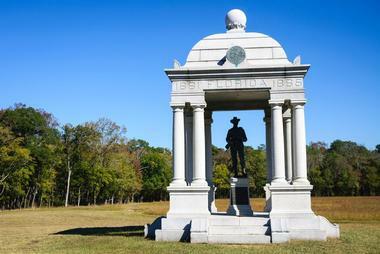 It is not a place for the faint of heart; the images and videos are haunting, but a visit there is necessary to anyone wishing a full picture of the horrors of the Civil War. A cemetery has been erected over what were mass graves; 13,714 bodies are buried there, of which 921 are unknown Union soldiers. The museum is dedicated to all prisoners of war around the world and their strength, endurance, and suffering. In 1828, a deer hunter named Benjamin Parks tripped over a large boulder and discovered a rich vein of gold running through it, and so the gold rush came to Georgia and to the town of Dahlonega. By 1800, all the rocks, streams, and lakes in the area had been emptied of gold, and a group of investors bought 7,000 acres and drilled down to find more. 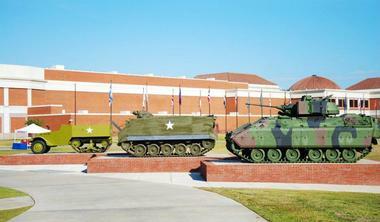 The Museum of Aviation sits on Robins Air Force Base in Georgia. Lovers of history and of planes and aviation will love this museum, with four hangars full of historic aircraft and more sitting outside. The planes on display include a B-52 bomber, a SR-71, a B-29 built in Marietta, Georgia, and the C-130 that was used for the failed Iran hostage rescue operation. Martin Luther King, Jr. was a Baptist pastor, an activist, and the leader of the African-American Civil Rights Movement until his assassination in April of 1968. The historic site, spread over thirty-five acres, contains the home where King was born, Ebenezer Baptist Church where both King and his father were pastors, a visitor center with museum exhibits relating to the African-American Civil Rights Movement, and the tombs of King and his wife. That victory gave the Union forces control of the city of Chattanooga. The battlegrounds were used again during the Spanish-American War as training grounds for troops in southern states. Today, visitors can take guided tours in car caravans, which last approximately two hours and are led by rangers. When Franklin Delano Roosevelt contracted polio in 1921, one of the few things that eased his pain was hot water. In October of 1924 he made his first trip to the 88 degree natural hot spring in Warm Springs, Georgia. He loved it there, so much so that he bought the ramshackle old rehabilitation center and its grounds. In 1932, as Governor of New York, he would retreat to the six-room white Georgia Pine house he had built in Warm Springs, swim in its pool, and take the spring waters. Roosevelt used the house in Georgia as a Presidential retreat, visiting it sixteen times over the years. In 1945 he died there of a stroke while having his portrait painted. The painting is one of the original furnishings that can be seen by visitors to the Little White House. The house has been open to the public since 1948. Historic Savannah Theatre is one of the oldest continuously operating theatres in the United States; it first opened its doors on December 4, 1818 with a production of the comedy “The Soldier’s Daughter.” Over the years, renowned players have performed with the theatre, including Sarah Bernhardt, W.C. Fields, Oscar Wilde, Tyrone Power, and Ellen Terry. Possibly the most unusual actor to grace the theatre’s stage was baseball legend Ty Cobb, who acted in a production of “The College Widow” in November 1911. A hurricane in 1898 and two fires in the 20th century resulted in the Savannah theatre being rebuilt three times. After the 1948 fire, the theatre was remodelled in its current art deco design, and patrons of the theatre find it lush and comfortable. 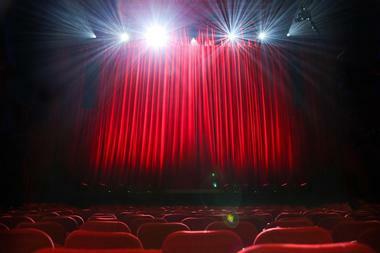 Musicals are the mainstay of the present-day Savannah theatre, and visitors may look at photographs, newspaper articles, and artifacts in the theatre’s lobby. 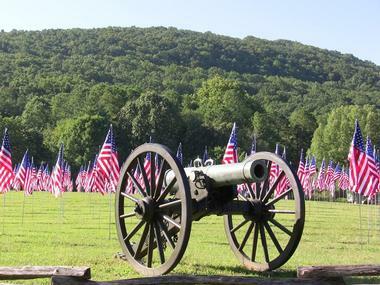 The Battle of Kennesaw Mountain was part of the American Civil War’s Atlanta Campaign. With 100,000 Union soldiers under General William T. Sherman and 65,000 Confederate soldiers under General Joseph E. Johnston, June 27, 1864 was a bloody day during which nearly 6,000 men were killed. The battle was a tactical victory for the Confederacy, but it did not halt the Union soldiers from marching on Atlanta as the Confederate army had hoped. Since 1972, over seven hundred movies and more than twenty television shows have been filmed in Atlanta. 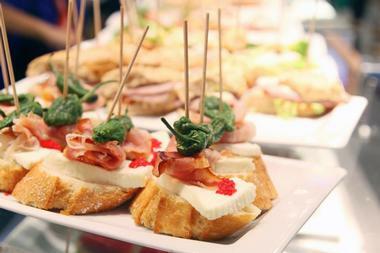 Atlanta Movie Tours uses actors who have worked on local movie sets to provide unique tours that take visitors to filming sites in the comfort of a luxury coach that shows movie clips of upcoming sites. The Best of Atlanta Tour is the most popular; the three-hour tour takes in filming locations from the movies The Blind Side, Driving Miss Daisy, Remember the Titans, We Are Marshall, and What to Expect when You’re Expecting. The very well received Gone with the Wind tour takes movie buffs to the house where Margaret Mitchell wrote her Pulitzer-Prize winning novel, to the Road to Tara Museum in Jonesboro, and to the Marietta Gone with the Wind Museum. There are also tours for lovers of zombie or superhero films. The Rolling Thunder River Company has since 1977 taken thousands of visitors on white-water rafting excursions on the Ocoee River in northern Georgia and southeastern Tennessee; the river crosses state lines and descends through the Appalachian Mountains. The Ocoee River came into world renown during the 1996 Summer Olympics in Atlanta when it was used for white-water events. 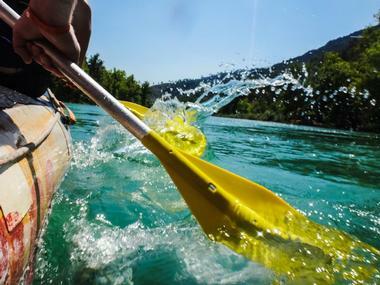 It has the longest class III and class IV rapids in the United States, and on it, the Rolling Thunder River Company guarantees both safety and an exciting adventure. Half-day and full-day rafting excursions are available; the full-day excursions include a bus ride into Cherokee National Forest, a safety demonstration, and a riverside lunch. Rafting the full river takes six hours. Rafting excursions are offered from early April until the end of September annually. Mercier Orchards has been a family-run business for over seventy years; Bill and Adele Mercier first planted it in 1943. Nestled in the Blue Ridge Mountains of northern Georgia, it offers family-oriented and educational fun as well as a dazzling variety of pick-your-own fruits. 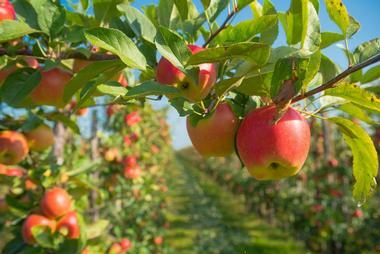 The orchards today have a bakery, a deli, a market store, and a farm winery that produces hard-pressed cider and wines. Throughout the year, people come from near and far to pick strawberries, peaches, blackberries, blueberries, and many varieties of apples. Families with children always enjoy tractor tours of the orchards, which are narrated with stories about fruit, orchard management, and the history of this orchard. 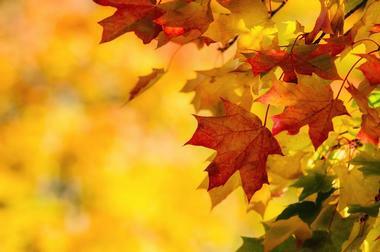 In the fall, the orchard hosts a tractor show, and in the spring it serves as the starting point for a charitable run. 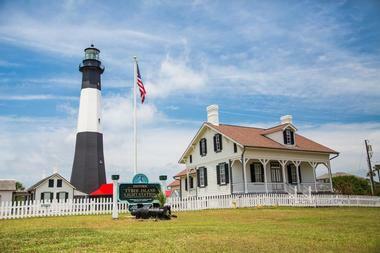 On Tybee Island, a barrier island off the Georgia coast, is one of the seven surviving Colonial era lighthouses. 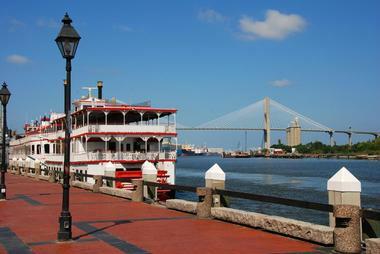 It sits on the entrance to the Savannah River in the northeast of the island. In 1732 the first lighthouse was erected here under the orders of General James Oglethorpe, Governor of the 13th Colony. It was destroyed by a hurricane. Over the years, two additional lighthouses were built, but one was seriously damaged due to soil erosion, and Confederate forces burned another during the American Civil War. The tower as it stands today dates from 1871, and it and its support buildings stand on the five-acre site. Visitors may climb the 178 stairs to the top of the lighthouse, see the keepers cottage, and visit the lighthouse museum that is housed in the former Fort Screven, a military outpost of the Spanish Civil War. 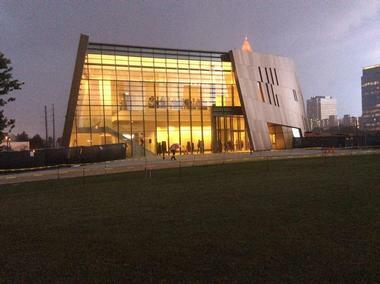 The High Museum of Art is one of the most significant museums in the southeastern United States. It holds more than 15,000 works in a collection with seven different foci: American art, decorative art and design, modern and contemporary art, folk and self-taught art, African art, European art, and photography. 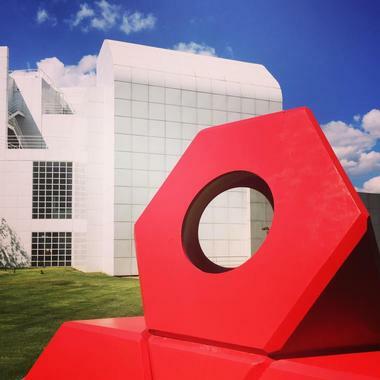 The High Museum has works by luminaries such as Monet, Bellini, Pissarro, and John Singer Sargent, and supports and collects artwork by self-taught Southern artists. The College Football Hall of Fame is a recent addition to the Atlanta tourist scene, having moved from South Bend, Indiana in 2014. In the heart of Atlanta’s entertainment and sporting district, the museum is a goldmine for college football fans. The Quad at the museum’s entrance has helmets of over seven hundred college teams. 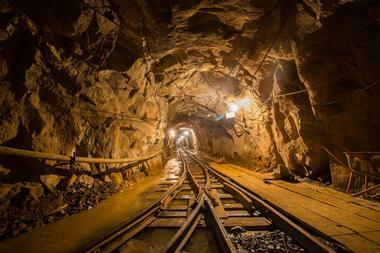 Visitors can run through the Touchstone Tunnel, which is adorned with some of the iconic touchstones that teams touch superstitiously on game day. A 45-yard replica football field is available where fans can try their own football skills. 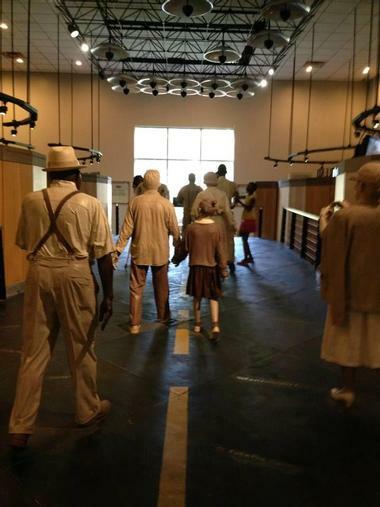 The museum has exhibits on traditionally black colleges and universities and on service academies such as the U.S. Naval Academy, a display of trophies, and interactive, high tech screens in which fans can immerse themselves. The Hall of Fame has a gift shop and a children’s play zone.